Watch full Star vs. the Forces of Evil Season 3 Episode 19 full HD online. Cartoon video Star vs. the Forces of Evil Episode 54 online for free in HD. Moon and Eclipsa travel to the Pigeon Kingdom upon learning that Meteora has been leaving a trail of destruction there. They eventually locate her and discover that she is now a huge monster as result of feeding on the souls of locals. Eclipsa convinces Moon to allow her to talk to her daughter and the two share a happy reunion. 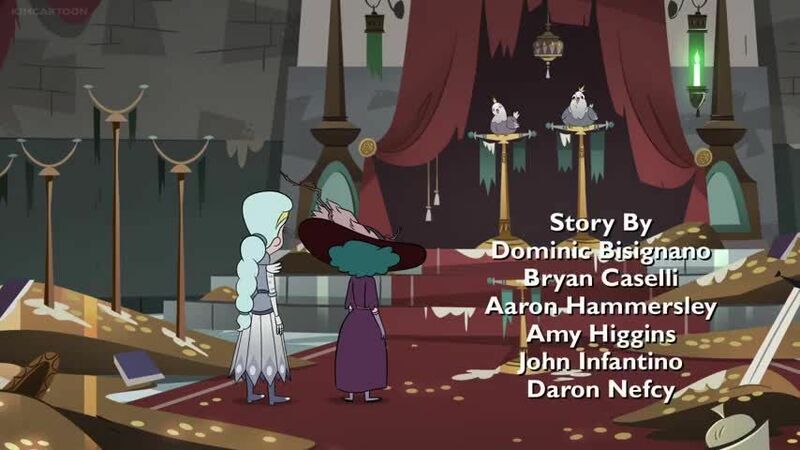 However, Meteora demands the throne of Mewni, which Eclipsa is forced to deny. With negations having broken down, Moon and Meteora fight each other. Just as Meteora is about to win, Eclipsa declares her love for her daughter, distracting her long enough for Moon to attack. However, Eclipsa once again intervenes, allowing Meteora to drain half of Moon’s soul. Moon and Meteora then both flee, leaving Eclipsa in turmoil by herself.